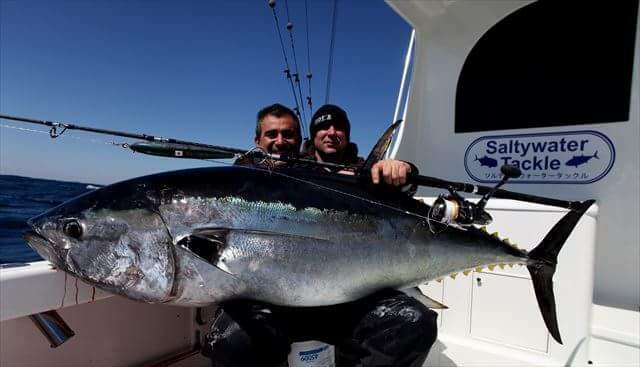 IFD: Sami Ghandour grew up in Lebanon, where fishing in the Eastern Med, he developed a deep love of fishing. 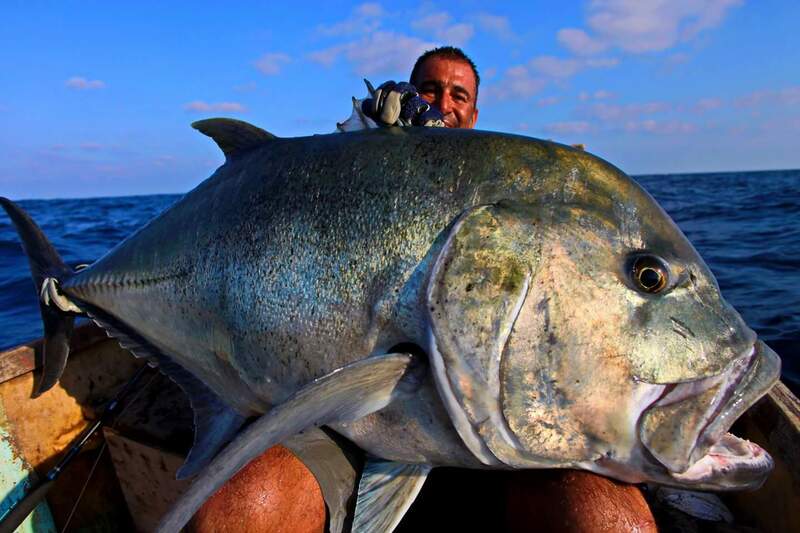 Sami has traveled the world in his fishing adventures, and is an afficanado of jigging and popping for big species. 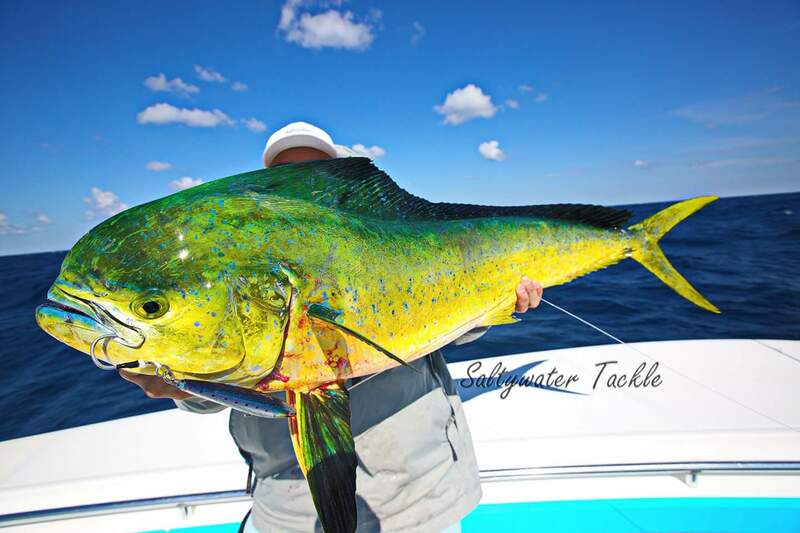 His love of this style of fishing has had a huge input into his company Saltywater Tackle, and they produce some of the best tackle worldwide for the purpose. 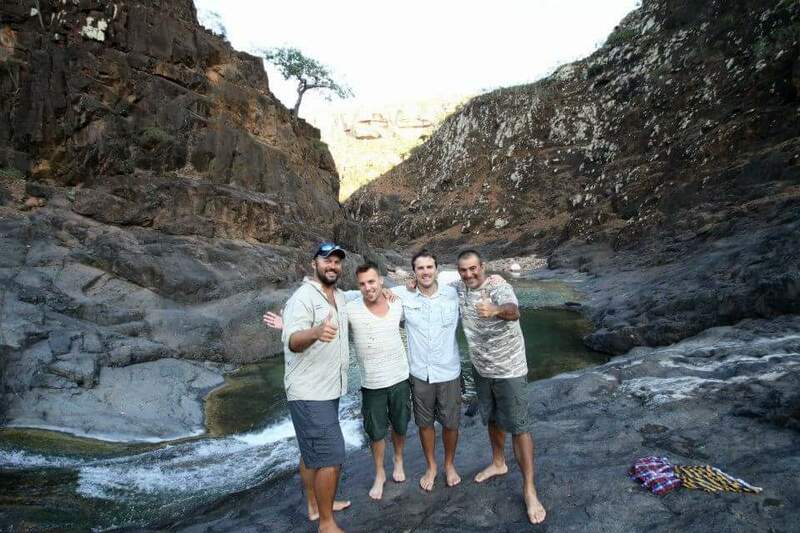 So now we talk to Sami about his own fishing experiences…. 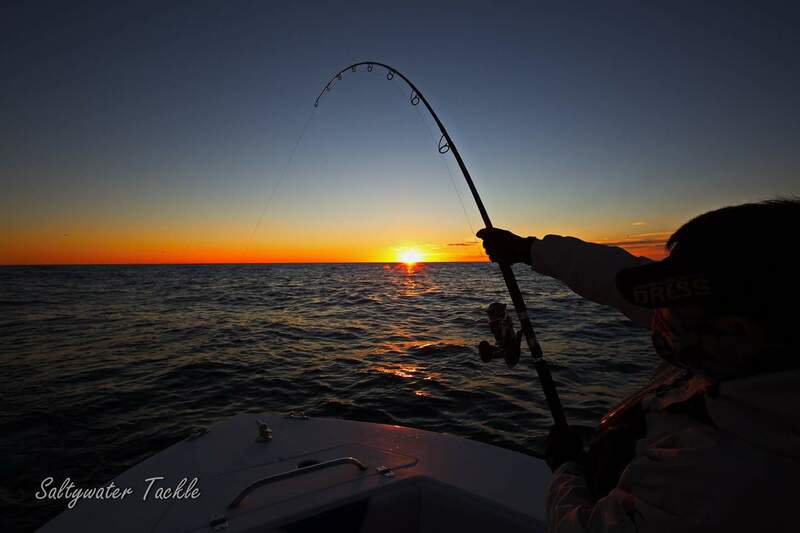 How did your love of tuna fishing begin and how did it become a lifelong obsession? I come from background where I fished for tuna since I was young. I was lucky to grow up in the eastern Mediterranean so we were always diving and fishing. It had all started as a hobby but soon I wanted to fish for other species such as giant trevallys and it opened up my eyes to a world of fishing. So here in the US, I could see an opportunity as there werent many shops specialising in jigging and popping and thats how it all started little by little. Then I started exploring fishing venues around the world and thats where we are right now. What is it about tuna that capture the imagination so much? 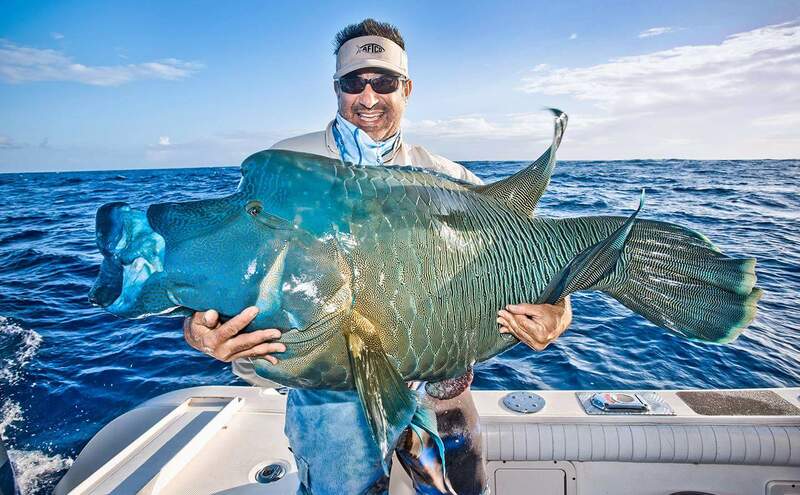 It’s because these fish are not easy to catch. They are the one fish that make you go through your tackle box, small lures, big lures, colours what do they want today? You really have to focus and use your head a bit. You put all this thought and planning into it, and then when you get one you still don’t know if you can land it! I also love about them that each one fights different, they have their tactics of trying to get away, but you don’t know what tactic is coming next. 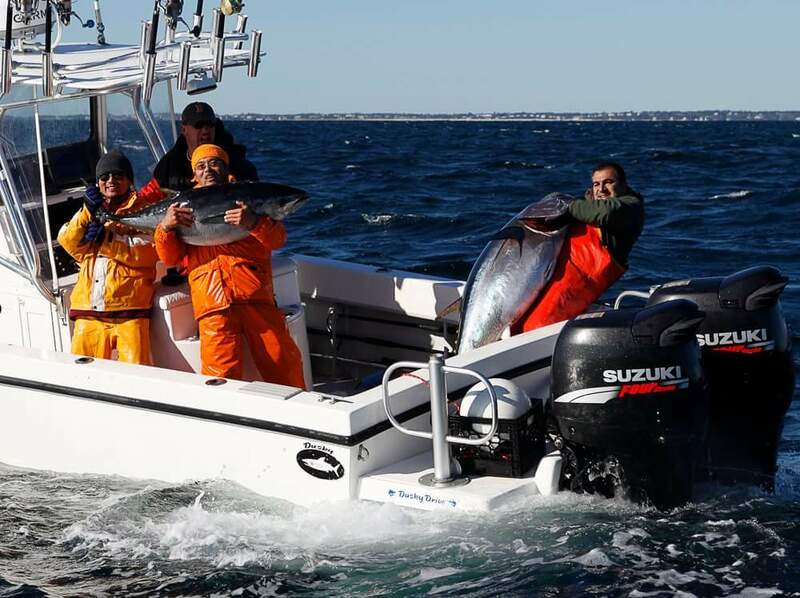 Can you tell us about fishing the Cape for Tuna? 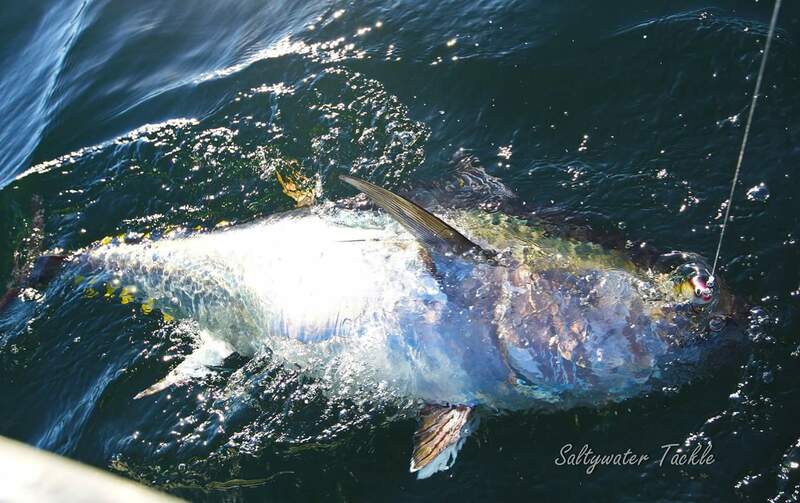 The focus on the Cape for most of the time is on sandeel, and the sandeel and mackerel come in around the third week of May. The first sightings of tuna are usually around late May or early June. That is usually the start of it, but these last two years it was a bit later with the best bite being July/ August. This season has been amazing for us. The best of the fishing then is in October. The only problem is the weather at that time of year. Sometimes you book four or five days, but you might only get out for two. So I would say the best fishing the Cape has to offer would be in October it can be spectacular. You have traveled widely around the world, what has been your favourite destination? Thats a very hard question! My favourite place, and I have visited three times is Socotra in Yemen. Chesterfield island in New Caledonia is breathtaking, but when you set foot on Socotra it is just so remote, you won’t find many fishing destinations in the world like it and the fishing is of course is exceptional. How did Saltywater tackle come about? At the start we were affiliated with Anglerpro shop and another partner. 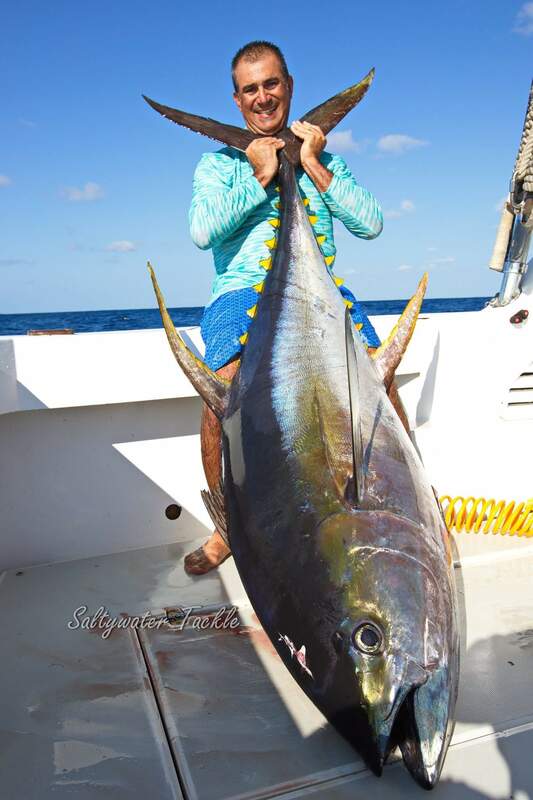 We all decided to go our separate ways and in 2009, Paul and I decided to start Saltywater tackle and we made it happen and it is fair to say we are recognized worldwide in the sports fishing industry. So we are happy where we are right now and to have a good reputation is what’s important to us. 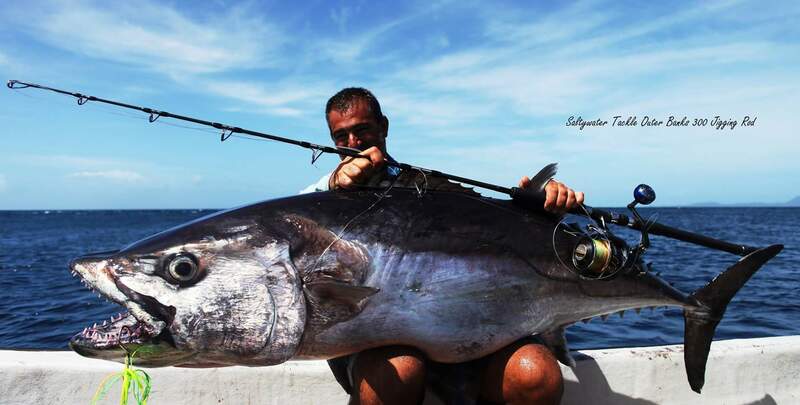 Earlier this year you went out to fish with your friends in Gibraltar how did the trip go? The weather was bad for most of the trip but I did hook up to a monster fish that ended up opening split rings and straightening hooks, fortunately we got it boatside, it was a big fish. Of the three days I only got out for one though. Paul ended up fishing there last month and they done well too , it’s a beautiful place to fish and I would like to get back there someday. What has been your most favourite catch? Well it would have to be of three species that really get inside your mind, the bluefin, the giant trevally and the dogtooth tuna. They are all stuck in my memory but if I had to pick my top memory of a special day was a few years ago in North Carolina we were fishing for bluefin tuna. I had friends over from overseas, and there was three captains we could go with. Our captain decided it was too rough and cancelled on us but the other two boats went. As we walked down the dock there was another captain sitting there and he said why aren’t you going out and I said he won’t take us, and he said jump on I’ll take you! We struggled to find the fish and after a while we got a call on the radio to say the other two boats had found the fish, but they were sixteen miles away. We set off for there hoping they would still be on the fish because if not we will have lost a lot of time. When we arrived we seen everyone was hooked up. We tried everything but nothing was working. We were running out of time, when the Captain said 15 more minutes till lines up. I was casting and I saw that head come out of the water and engulf that lure. I set the hook and gave it to the guy who had come from overseas. It turned out to be our biggest fish at that time of 92″ and everyone one of us had a to take a turn it put us to shame. Just as it looked like it wasn’t working out for us it had all come good in the end, and it took team work to achieve. We had fun and everyone enjoyed themselves what more could you ask. To cap it all off the creator of the lure was there also to make it even more special. What destination have you yet to visit but would like to? 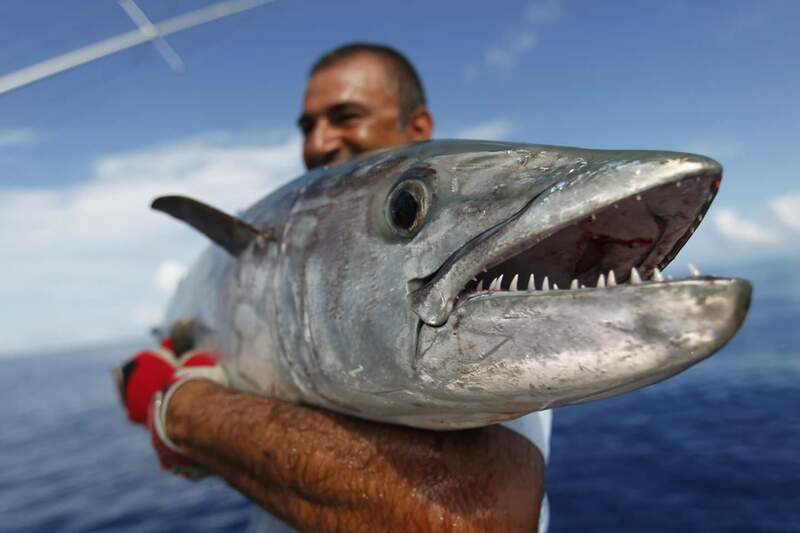 I have never fishing New Zealand for kingfish, and I think I owe it to myself to get there someday to experience it. Every year we say this year we are going to organize something, and times goes by and I’ve yet to do it. This is one species and country that is most definitely on the bucket list. Hopefully I’ll be able to see New Zealand and fish in the rich waters on offer. Finally Sami, what species would you most like to increase your personal best? 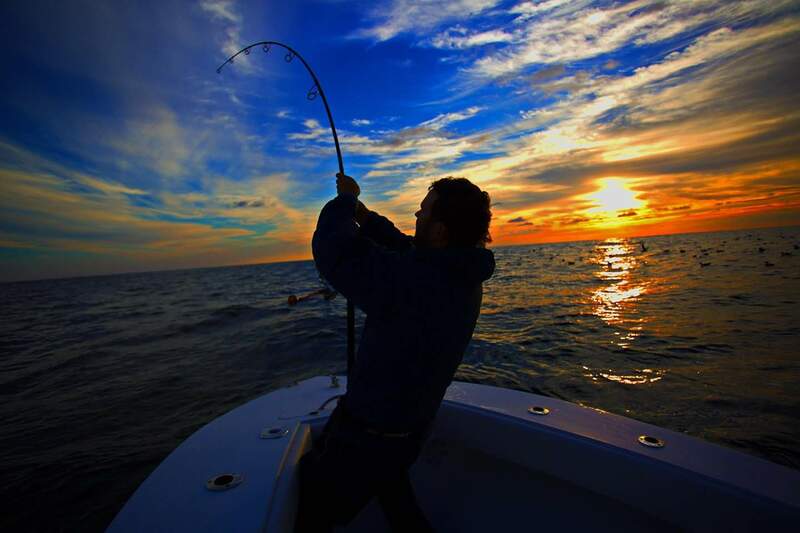 Tuna of course, the sky is the limit with bluefin. My pleasure Paddy talk soon. 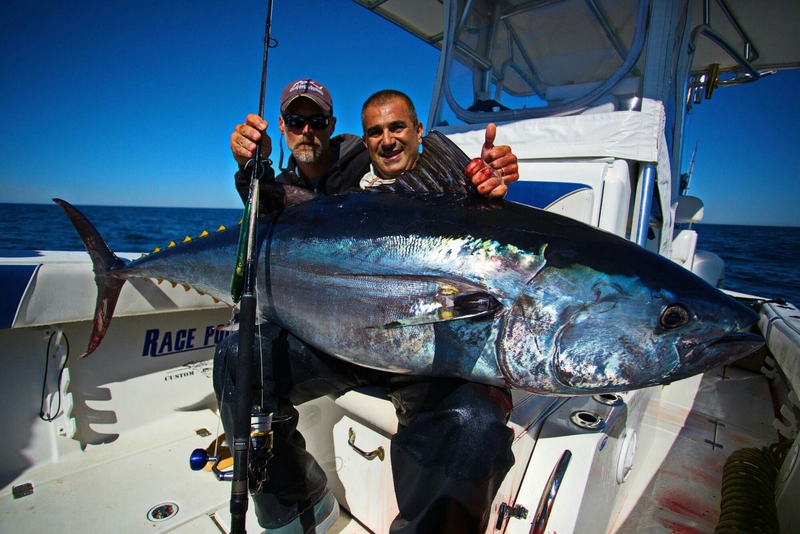 This entry was posted in Interviews, Travel and tagged Saltywater tackle, Sami Ghandour, tuna. Bookmark the permalink.